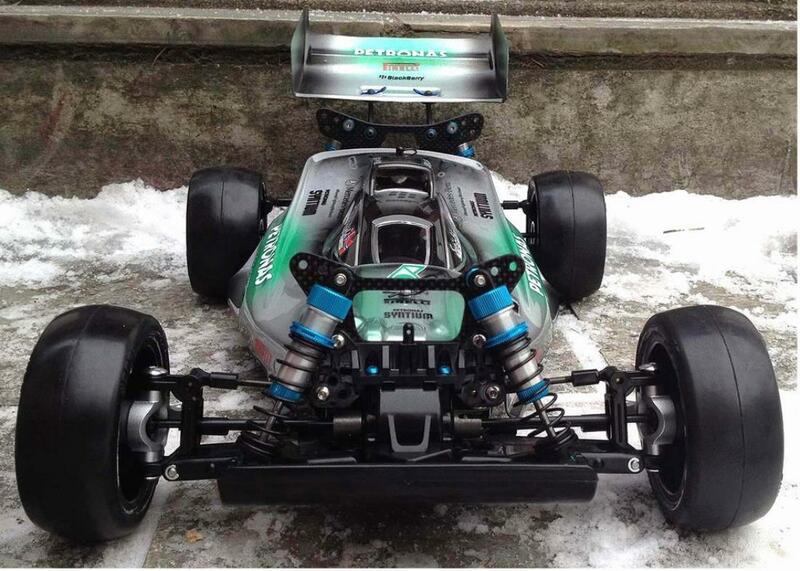 -Evolution carbon chassis and top deck - love the print on the top deck! -3Racing alu dampers (DT02 and DB01, using the rear shocks from both). Tried with RC Damper shocks but I found the rear ones being too long. -Lots of stainless and steel hex screws, alu washers etc for a more 'pro' look. The goal was to TRF it as much as possible! 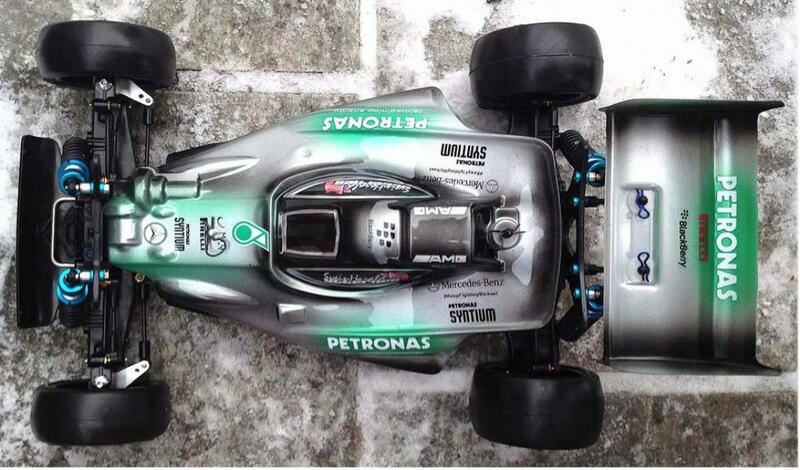 TBG repro body with Mercedes AMG Petronas livery, paint by myself. I mixed colors to get close to the Petronas green. I applied the decals first in order to get a good match paint vs stickers as this is a very 'freehand' kinda paintjob. 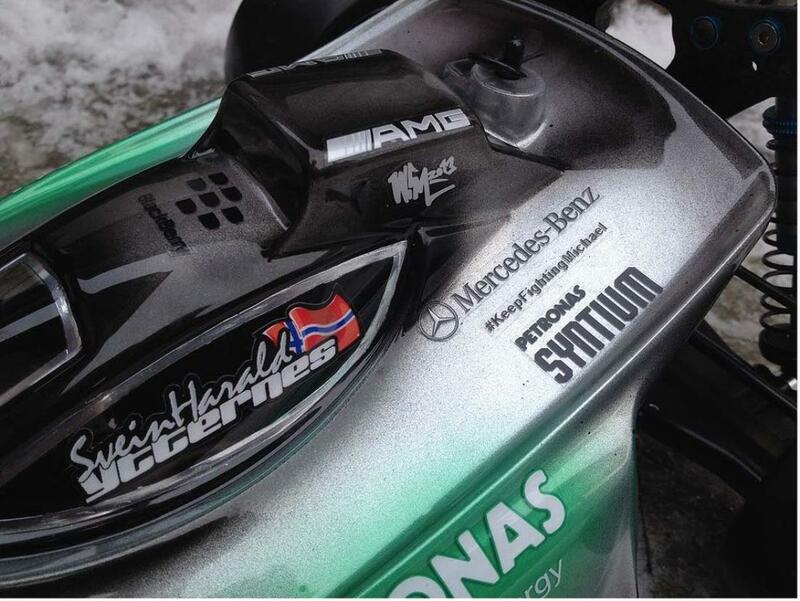 Also added '#KeepFightingMichael' that I made myself. Sorry that the pics are a bit dark due to very little daylight these days! Nice! Can you tell me where you bought the wheels & tyres? Thx guys! I'll take one of those sway bar kits and a rear arms brace Konte! Pretty please with sugar on top! Oh! And where did you get a carbon propeller shaft from? Wheels: Sorry, don't recall. But they are just standard white Kyosho rims. I dyed them black using RIT dye. The rear arms brace and both the sway bars are hand made. The brace and the front sway bar don't exist. I searched for them for many time and never found them from any optional part producers, so I made them by myself. I have a question for you: don't you think that the model has a too low gear ratio? 69/25 is most for turing cars with little wheels I believe. 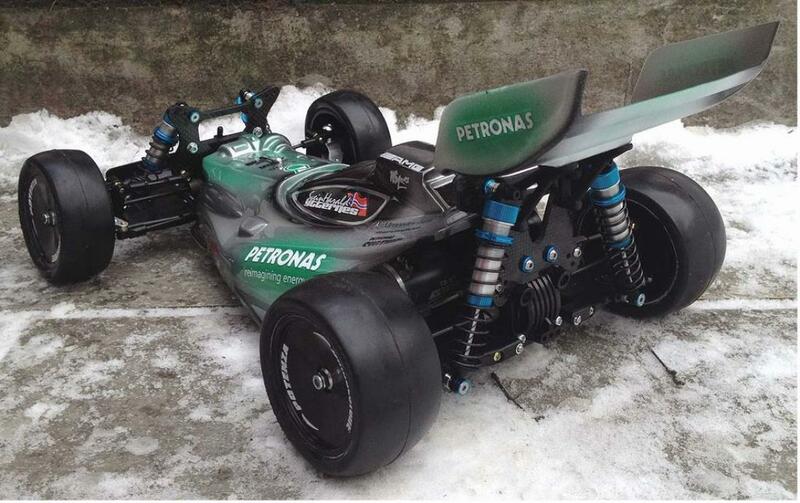 I remember I used this chassis with 74/16 or at maximum 74/18. I think that 74/21 is alread too low. 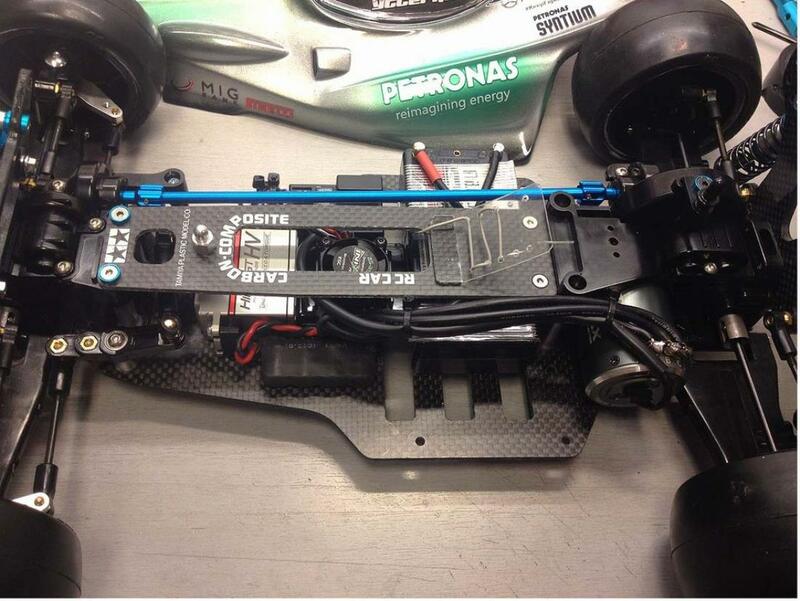 I suspect that 69/25 will heat up the motor and the esc and you will loose too much acceleration and speed. Obviously this is only my opinion but would like to know what do you think about it. 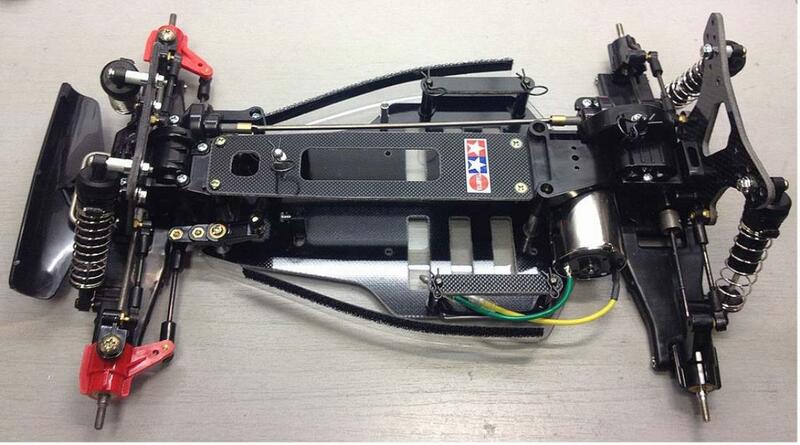 Probably with these brushless motors everything changes. 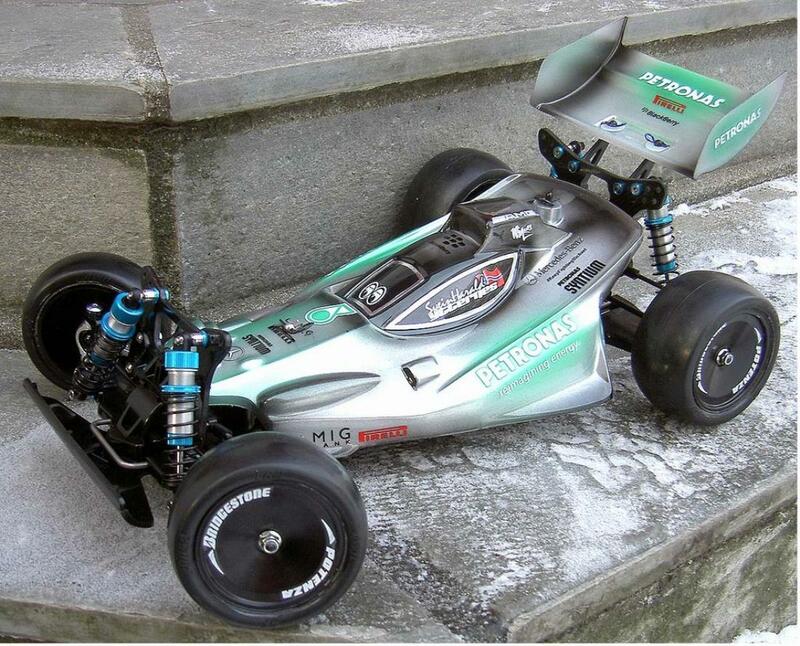 I remember on rally races I ran the TA02 with 74/21 gear ratio and Tamiya brushed Dynarun 13 turns motor. 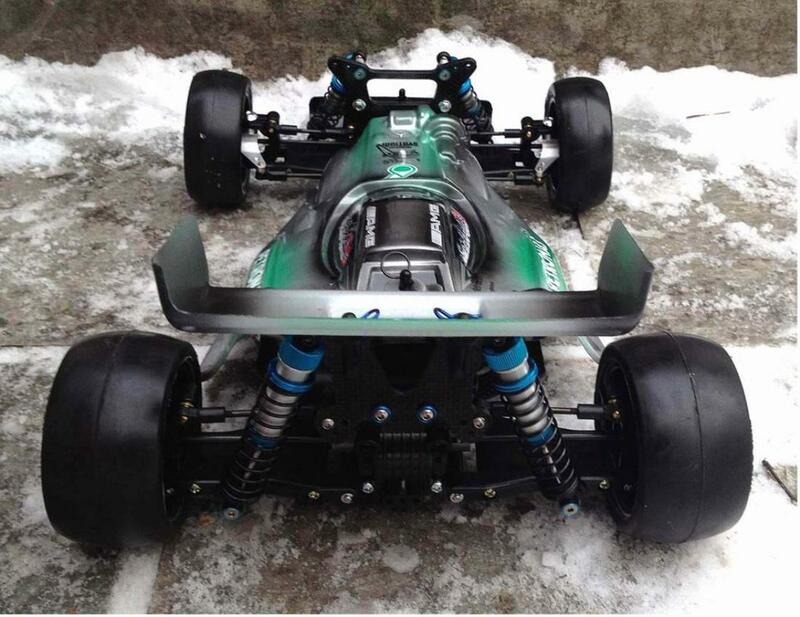 My contendents ran the same identical chassis and motor configuration but 66/21 and they lost. Their cars were slower in acceleration and top speed than mine. They didn't understand the reason why but it was funny, they gone crazy for this. I never said them why my car was faster. Wow, love it.. Great work. Kudos to you for having the courage to make this precious model a real runner -- I Never get tired of seeing these old DF buggies. Great work, thanks for sharing! Looks fast!! Love the paint job! Immaculate presentation as always, I hope you have lots of success racing it! 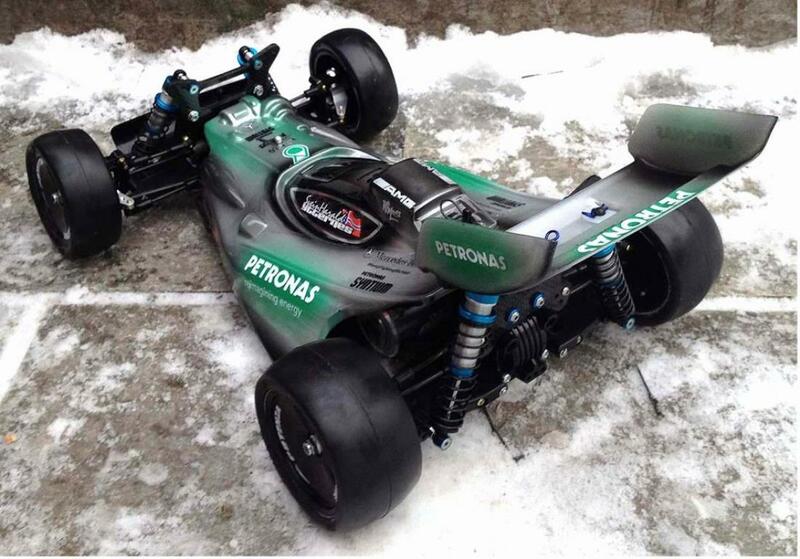 Man that is awesome, would love to find a buggy to replicate this past years Martinin livery, now you got me thinking. I wonder if 2015 will be the year of the runner??? Could be. 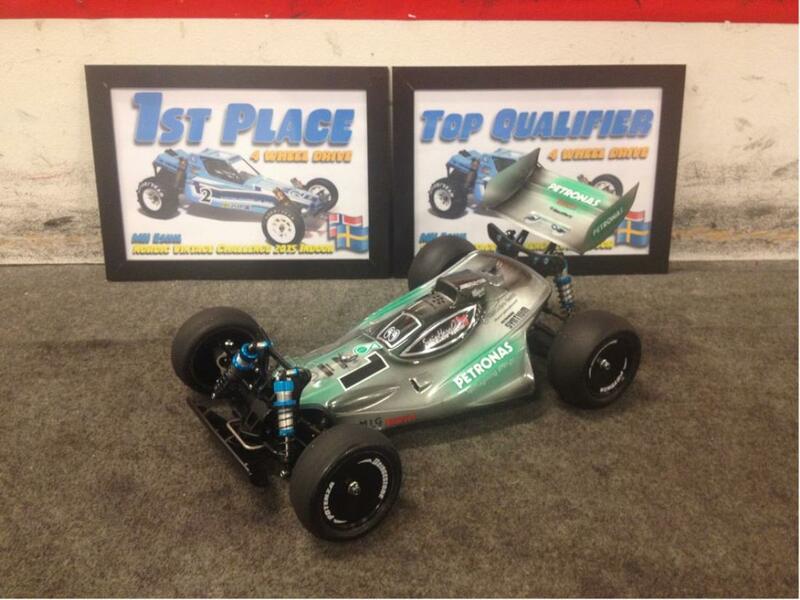 The result: TQ and 1st!